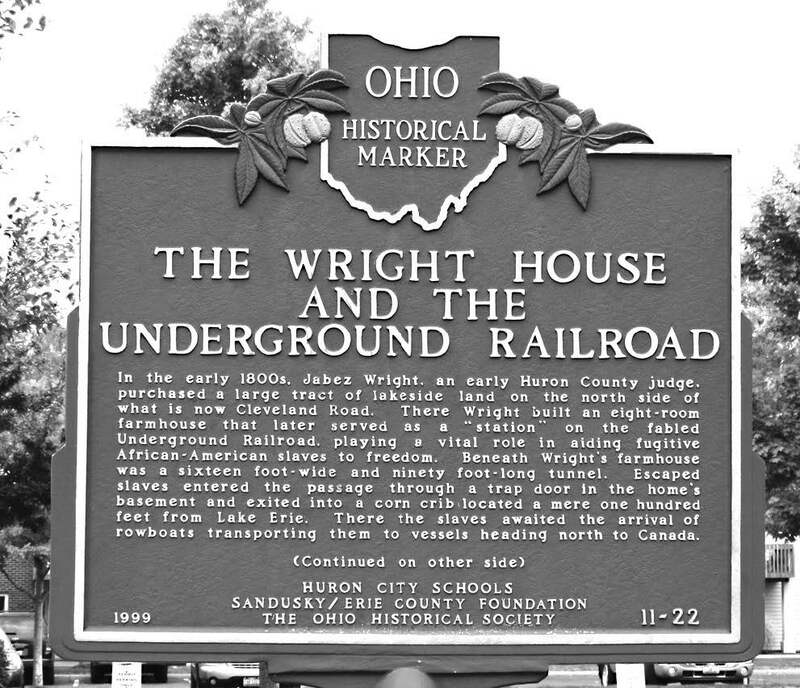 Huron can take pride in having been the home of an amazing pioneer, civic leader, and integral figure in the antislavery movement, Jabez Wright. Wright came from New York to the Firelands with Almon Ruggles in 1809. Wright and Ruggles had been hired to survey the area of the Connecticut Western Reserve that became known as the Firelands. This land was to be distributed as compensation to those who experienced a significant loss of property during the Revolutionary War. Wright apparently liked the area and settled on the west bank of the Huron River about 2.5 miles from the shores of Lake Erie, in Huron Township. On May 11, 1811, he married Tamar Ruggles, niece of Almon Ruggles, and together they had five children: Winthrop, Douglass, Lucy, Abigail, and Ruggles. Around 1815, Wright relocated to a large parcel of land located on the north side of what is today known as Cleveland Road, West, just east of Rye Beach Road. On this property around 1822, Wright built the first brick house in Huron Township. This impressive home contained eight rooms and a basement. Wright was instrumental in the development of the Firelands region, and according to his obituary, he was “universally esteemed”. Further, the 1874 Combined Atlas Map of Erie County states that Wright was “a good citizen, an exemplary Christian, and an enterprising pioneer.” As evidence of his good character and civic responsibility, Wright was elected as one of the first two county commissioners for the Village of Cleveland and, in 1815, was elected as one of the first three associate judges for the Court of Common Pleas in Huron County (Erie County was carved out of part of Huron County in 1838). Wright also was elected to serve as Justice of the Peace for Huron Township. In 1820, Wright lost his bid for Ohio State Representative, but in 1823 he was elected to the position of Ohio State Senator for the Ashtabula District, which included Cuyahoga, Geauga, Portage, Huron, Medina, and Sandusky Counties. Wright served in this capacity for two terms from 1822-1825. In 1836, he was nominated as the Whig party’s candidate for Representative for the 14th Congressional District, a position which Wright did not obtain. Wright also worked as a surveyor, land agent, and farmer. Wright died on December 16, 1840 at the age of 61. According to an account of his death, he “left his house early in the evening of the 16th December, with the intention of transacting some business in the village, and going out in front of his house for the purpose of getting down to the beach, he fell from the bank, and struck his head against some timber in a crib erected in front of his residence, a distance of eighty feet. He apparently made every effort to regain the bank, having succeeded in finding his way to the place where his family would usually go down to the lake for water-but the coldness of the night and the loss of blood paralyzed his efforts. His lifeless body was washed off by the waves and floated opposite the village, where it was found on the morning of the 17th.” Following the death of Jabez Wright, his sons, Winthrop and Douglass, continued the work of their father in aiding slaves in their bid for freedom. 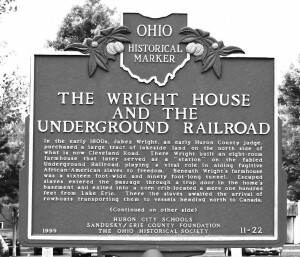 It is unknown as to how many fugitive slaves found refuge in the home of Jabez Wright, but his name should forever be remembered for his many acts of kindness.